It’s a Wednesday afternoon I’m on my way to the sorting office to pick up a package. 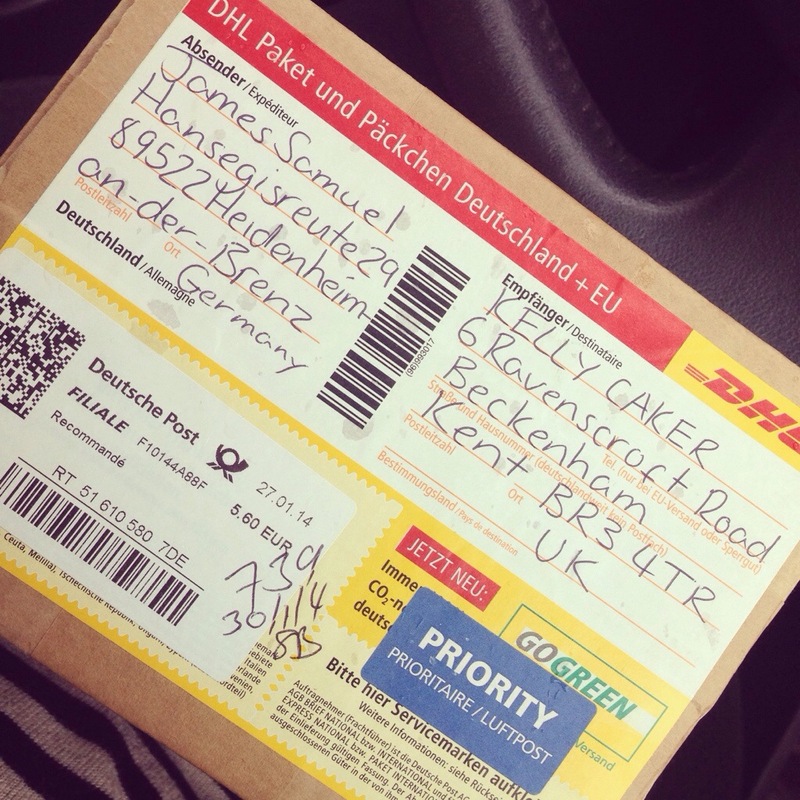 It’s arrived from Germany, filled with excitement I ferry it home on the passenger seat of my car…I think I know what it is! As soon as I arrive home I tear open the package…ta dah! 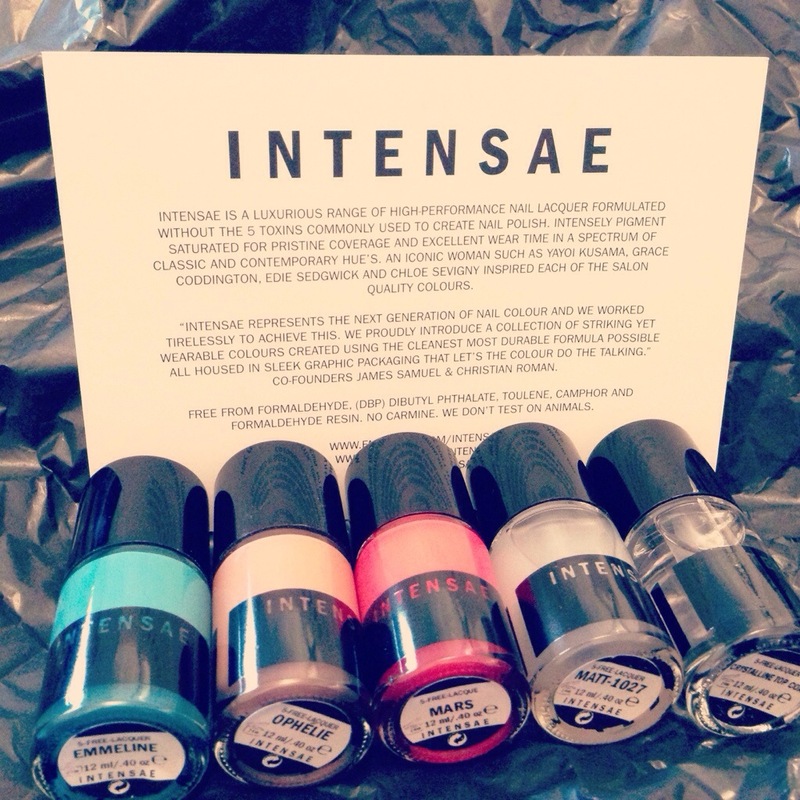 As suspected I’ve been spoilt rotten by the cool guys at INTENSAE I’m now the proud owner of their brand spanking new SS14 nail lacquer range. From left to right: Emmeline, Ophelie, Mars, Matt top coat, Crystalline top coat. 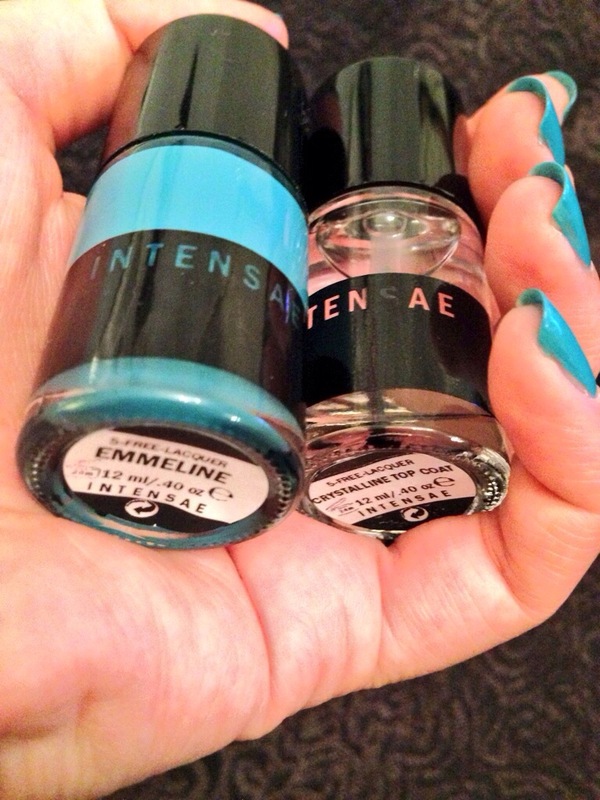 I’m in the mood for a dreamy cool blue, so I opt for Emmeline. The lid is wider than I’m normally used to but actually feels very comfortable to hold and keep a steady hand. Two coats glide on with ease leaving a smooth glass like finish. 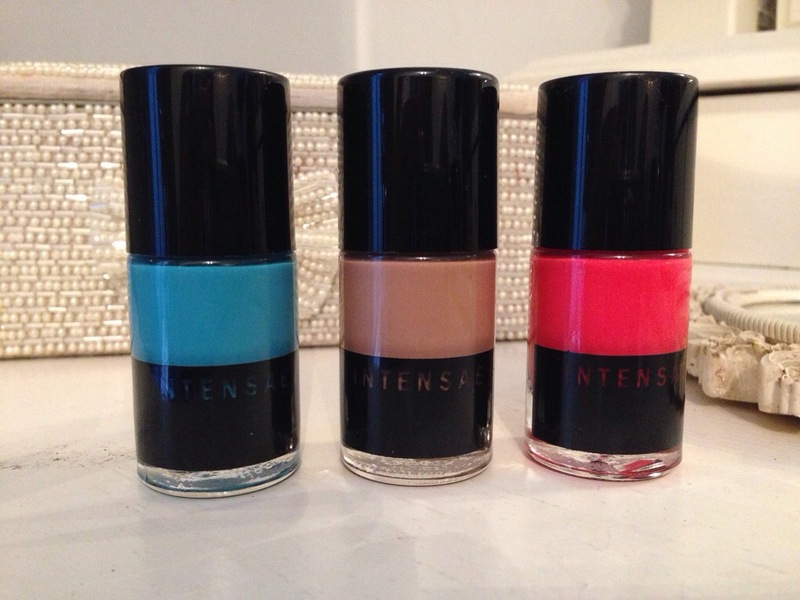 I’m no pro when it comes to painting my nails (it took me 5 minutes to paint two coats) INTENSAE lacquer made it so easy, my nails were touch dry in minutes – I’m so impressed with their performance this certainly is a luxurious brand, you will not be disappointed! I finished with the Crystalline top coat to lock in the colour keeping it chip free for 10 days. I should add that the formulars are flexible once dry, so if your nail bends your polish won’t chip off as it will bend with your nail, genius! 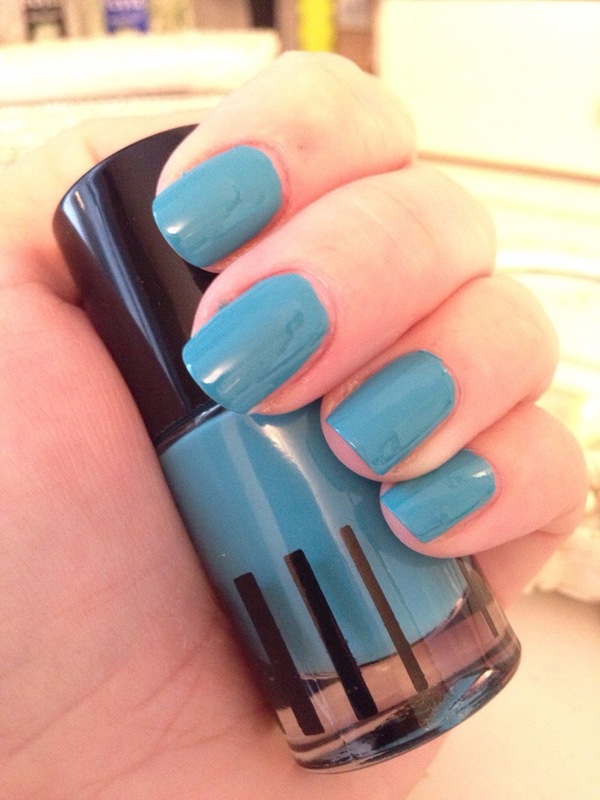 I can’t wait to try the other shades and the high performance Matt top coat. There are 24 shades (I think) in the full collection and counting! Cruelty Free: No animal testing. 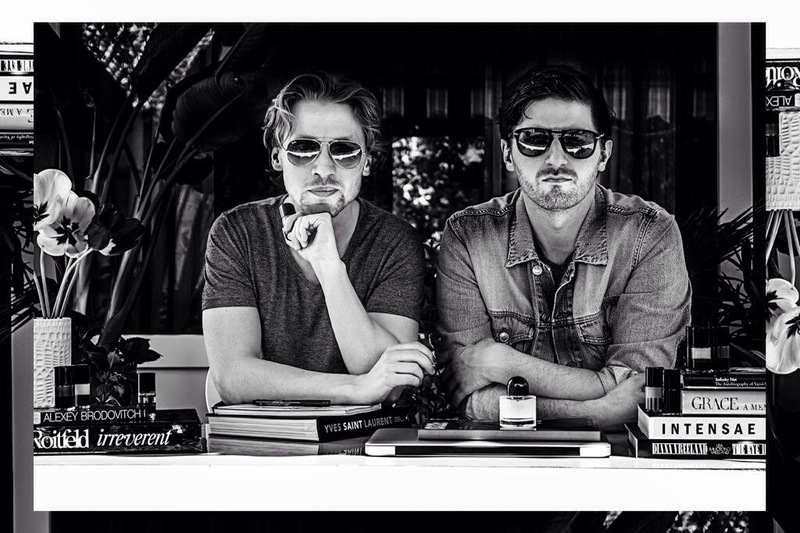 5 – Free which are: formaldehyde, toluene, dibutyl phthalate, parabens, formaldehyde resin.